Forlan BB Cream and Cover FX Blemish Concealer are Press Samples. All opinions are my own. Today's look is very, very berry! I love this color, and all the metallic shininess I have in this look for both my makeup and nails, and I hope you enjoy it, too. Even though berry is always hot for Fall and Winter, I'll wear it all year long. This look makes my hair and eyes look darker and my skin look paler. I'm Snow White! I never thought I could wear such a reddish pink on my eyes without looking like I was tired or had an eye infection, but this color works. Having the black liner next to the eye is a good barrier for me. 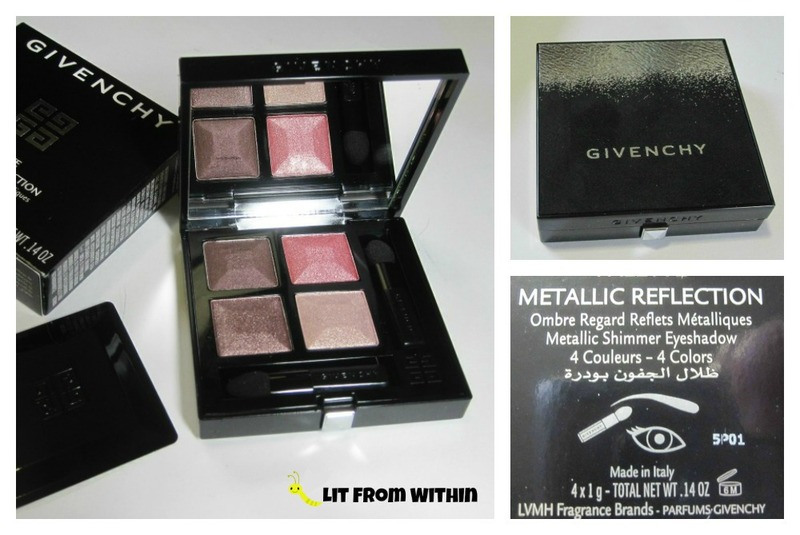 Here's the star of the show, the Givenchy Metallic Reflection palette. 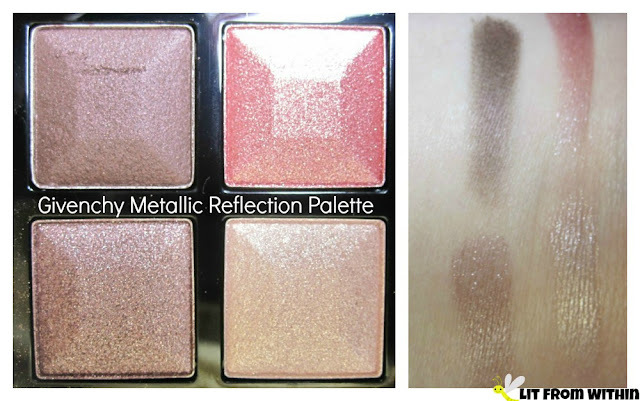 I love metallics and I love berry and taupe, so I really wanted this palette! I love the packaging on this palette, and the nice plastic dome that goes over the shadows to protect them. Here's what I used, except I always forget to take a picture of the lipstick before I stick it in my purse. I'm not sure what it is. Could be Catrice Plum and Base... I love the combo of the Forlan BB Cream and the Laura Mercier Baked Radiance Foundation, topped with the Kiko 'ballz' Sahara Glow highlighter. I love to be lit from within... and without! The blush is Tarte Flush, a gel/creme. I used Cover FX Blemish concealer on my face, and Stila Brighten and Correct (light) under my eyes. In addition to the Givenchy palette, I also used UD primer potion on my eyes, as well as Physician's Formula Eye Booster in Ultra Black, Laura Geller Glam Lash, and It Cosmetics Brow Power (Universal Taupe). I also did some matching nails for this look. It's a subtle (too subtle, actually) gradient of Sonia Kashuk Spice It Up and Orly Mind's Eye, layered with Orly Brush It On for some sparkles, and given a swirly stamp with MdU Pastel Pink and Uber Chic plate 1-01. Are you rocking berry? What's your favorite berry product? Not Just Ageless, but Ultra Ageless! 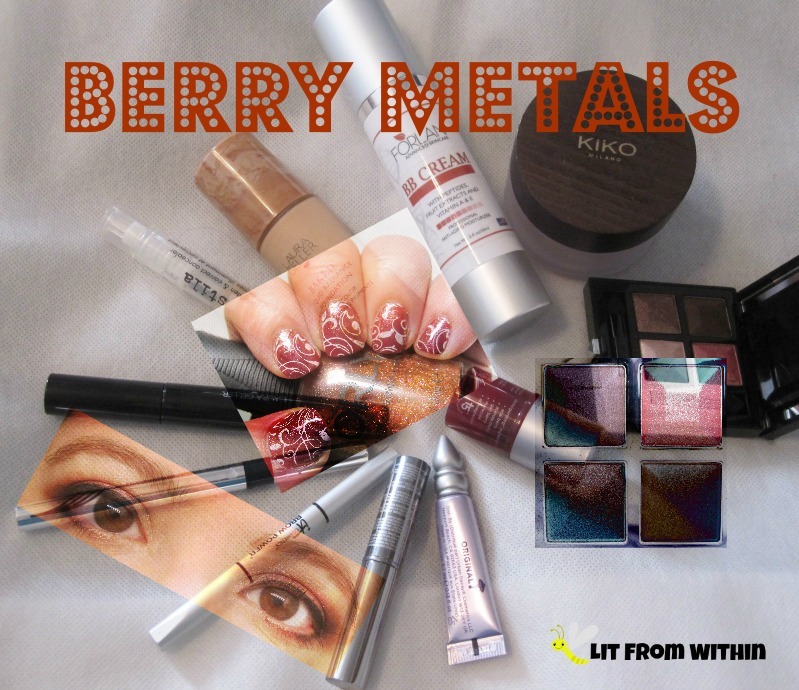 A Few of Our Favorite Beauty Things Giveaway!